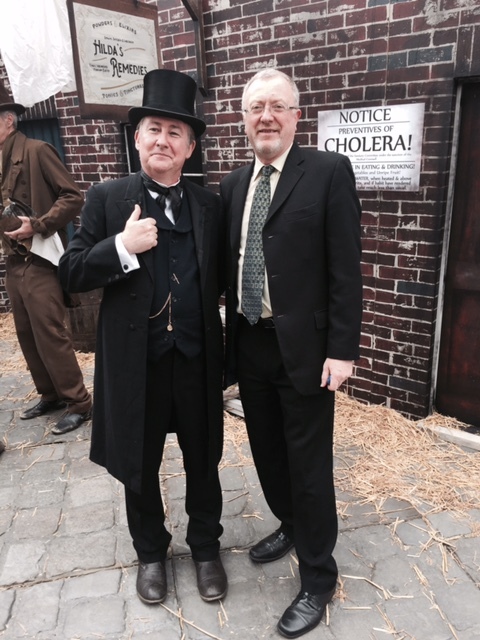 I stepped back in time this week, taking to WaterAid’s Victorian Street to mark 150 years of Britain’s modern sewers. I was exposed to the sights and smells of an era in which sewage and waste littered our streets, roads and rivers. Over 100 other MPs joined me in meeting characters from the Victorian era, to discover what exactly life was like during the ‘Great Stink’ of 1858. 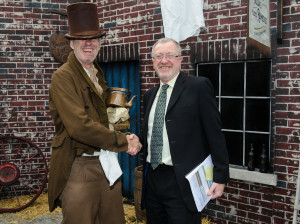 The event marked the 150th anniversary of the first modern sewage pumping station in the UK and highlighted WaterAid’s campaign to end the global water and sanitation crisis. Over a third (39%) of the world’s population today still live without sanitation, this is why supporting international developed and UK Aid is so crucial, and why charities like WaterAid are so important. WaterAid is an international organisation that seeks to improve access to safe water, hygiene and sanitation in some of the world’s poorest countries. Since 1981, it has provided some 23 million people with safe water and since 2004, some 21 million people with sanitation. I have campaigned for World Water Day in the past, visit here to find out more. I support WaterAid’s attempt to increase the proportion of aid spent on water, sanitation and hygiene by 1% at the very least every year over the next parliament. To end aid dependency the UK Government must work with developing countries’ governments to prioritise the delivery of sanitation services as part of more sustainable national plans. To maximise the impact of UK aid investments we should be making sure water, sanitation and hygiene services are in all health clinics and schools. Click here to see more of my work on tackling global poverty and international development.